The MotoTec MT-SKT 1600w dirt electric skateboard is already proving to be a winner. It is outdoing its competitors on the market and you just cannot afford to miss out on the wonderful fun it gives you. If you love a challenge and enjoy the outdoors, this electronic board is your friend for life. You can do all sorts of tricks with it that will just wow any onlookers watching your maneuvers and you will be sure to finally get the attention you really deserve. This skateboard is a sure winner to let you live out your dreams and you can do so in style. The skating device comes with an array of features that will make you always want to be around it. Since technology is always on the increase, the manufacturer makes sure the entire apparatus has all the modern tools it requires to remain an up-to-date innovative machine that is fit for a king or queen to ride. Riding a SKT 1600w can add some health benefits to your life as well because it teaches you determination and you can perfect your balancing act one step at a time. The features of the MotoTec MT-SKT 1600w dirt electric skateboard will add plenty more joy to your already fun-filled time. This highly innovative machine comes with a collection of tools that you just cannot afford to let pass you by. Riding the machine outdoors will leave you in awe as you get to learn and put into effect for the first time its many different facets. The MT-SKT 1600w has an adjustable speed feature attached to it that makes you feel in total control. It can go fast or slow, depending on how you want it to run. If you are a beginner user, this feature is a great start for you because you can begin your skating journey by first taking it slow and then going into a little higher speed as you learn to balance yourself. If you are an experienced rider, you have the freedom to go the maximum speed. 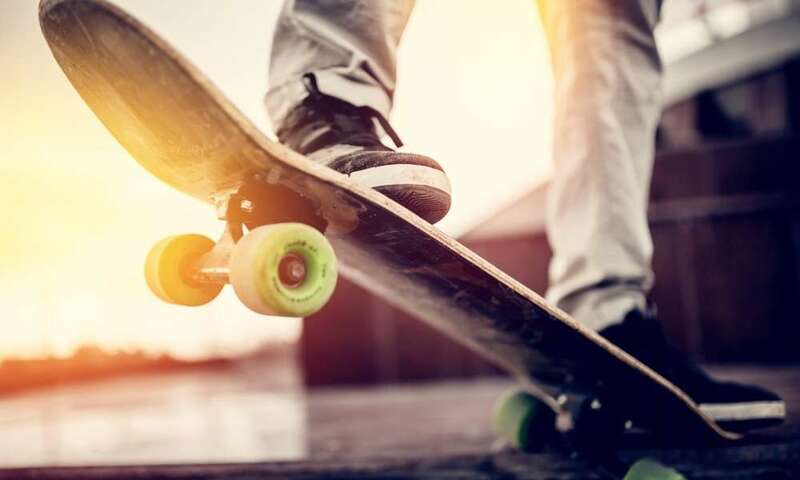 However, whether you are a beginner or experienced skateboard user, you should always remember to wear a protective helmet when out skateboarding. The device is made functional by AH batteries and it can run for long periods. By making sure the batteries are in good working order before you start out your riding day, you can get the maximum fun from your skating partner to up to almost an hour before recharging them. The board skating apparatus can carry up to 260 lbs, which means it can carry an adult person. If you are over the weight limit, it is advisable that you choose another skateboard that will accommodate you better. The 1600w can go up to 22 mph; however, it all depends on how heavy or light your weight is. If you are close to the 260 lbs maximum weight, you may not get the machine to go climb to the 22 mph speed limit. The 1600w consists of dual motors each containing 800w. Together they produce a combination of 1600w motor power that can get you going anywhere you want to go. This feature can help you save gas or bus fare money as well because you can ride your skate to and from certain destinations such as work and school. The SKT 1600w will do a man’s job anytime and you need not worry about the motor going bad quickly because it is built to last. The features are awesome and all you have to do is put yourself in a relaxing mode as you practice on your dirt skateboard. Therefore, instead of choosing a board to do a man’s job and getting below average results, choose the SKT and experience the power of real skateboarding. We compared the SKT with two other skateboards in its niche. 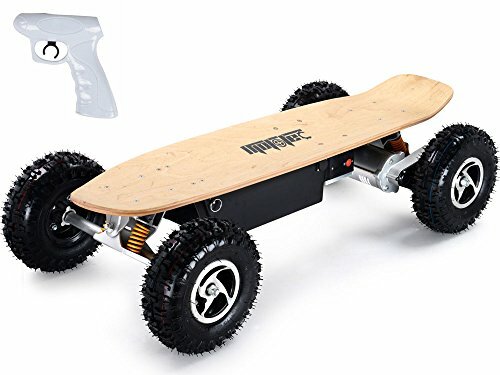 We found that the BLITZART Huracane 38 inches electric motorized board and the Maverix USA Border X800 were a bit different in a number of ways. The BLITZART Huracane speed limit is 17 mph which is 5 miles less than the SKT 1600w that stands at 22 mph and this put the SKT ahead of the game. However, in the weight category, the BLITZ support weight goes up to 300 lbs while SKT is 260 lbs. The Maverex USA X800 is a stylish skateboard that grabs the attention of admirers quickly because of its classy looks. It has a three speed power attached to it and can travel for up to 19 mph. It will take you to up to about 9 miles on a single charge. Although better looking than the SKT 1600w, it has less attractive features. The MotoTec MT-SKT 1600w dirt electric skateboard can hold its own when it comes to skate riding on a dirt road. It has all the necessary features to make you feel comfortable and safe when riding or carrying out maneuvers. You can enjoy your skating days in style because you are riding a classy model that knows how to please its owner. In addition, you will look great in the outdoors as you and your skate buddy the SKT get to know each other better. The features of the apparatus are enormous and hard to beat by other boards in its niche. Riding such an innovative piece of merchandise will truly make your dream of traveling to different locations on a board comes true. This is your time to shine on your new SKT board and you can only do so by taking the MT-SKT for a ride in the great outdoors. You and your skating buddy the SKT can learn great skating tricks together when you are outdoors. Therefore, put caution to the wind and get going on your skateboard now.